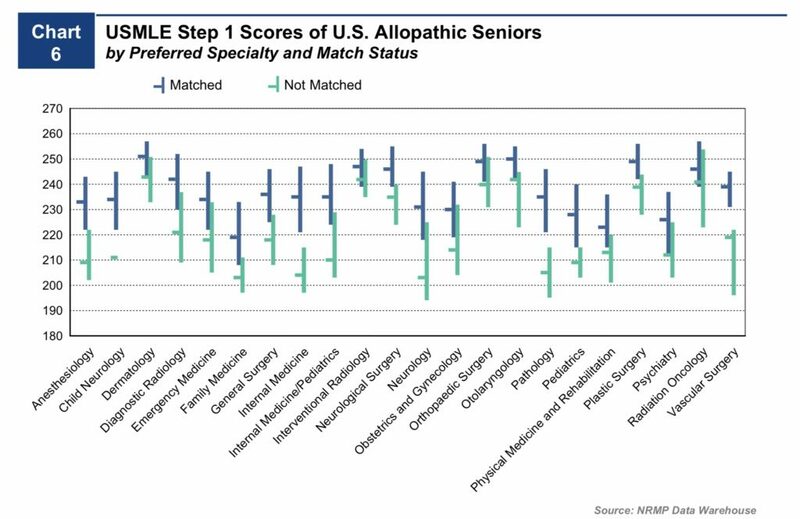 I’m going to show you the Match rate and mean Step 1 score for three groups of residency applicants. These are real data, compiled from the NRMP’s Charting Outcomes in the Match reports. 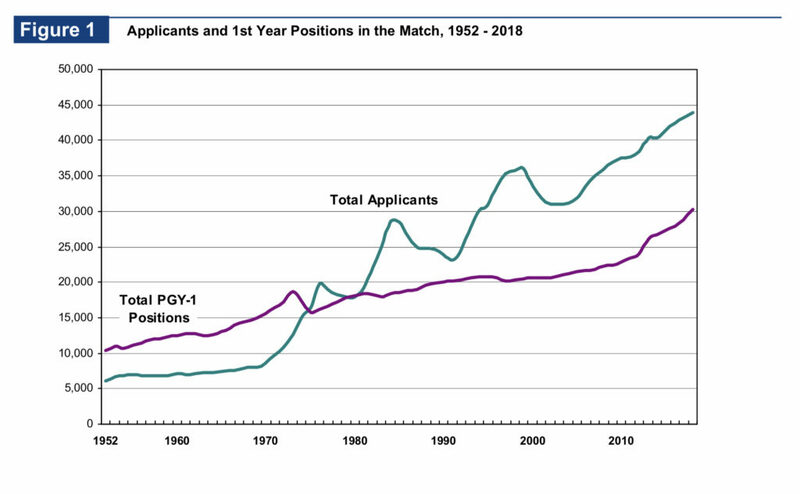 In the debate over the USMLE’s score reporting policy, there’s one objection that comes up time and time again: that graduates from less-prestigious medical schools (especially IMGs) need a scored USMLE Step 1 to compete in the match with applicants from “top tier” medical schools. In fact, this concern was recently expressed by the president of the NBME in an article in Academic Medicine (quoted here, with my emphasis added). Here is a scatterplot of the mean Step 1 score by medical school, ordered by the 2019 U.S. News & World Report “Best Medical Schools” research rankings. Many students at less prestigious allopathic schools, osteopathic schools, and Caribbean medical schools most differ from their colleagues at the “top” allopathic schools in one area: MCAT scores.